"PIRATES OF THE CARIBBEAN: DEAD MEN TELL NO TALES"..The villainous Captain Salazar (Javier Bardem) pursues Jack Sparrow (Johnny Depp) as he searches for the trident used by Poseidon...Ph: Film Frame..©Disney Enterprises, Inc. All Rights Reserved. New Pirates of the Caribbean 5 Poster! Following the Super Bowl spot for Pirates of the Caribbean: Dead Men Tell No Tales (which you can watch by clicking here), Walt Disney Pictures has released a new poster and photo for the film which you can check out below! Johnny Depp returns to the big screen as the iconic, swashbuckling anti-hero Jack Sparrow in the all-new Pirates of the Caribbean: Dead Men Tell No Tales. 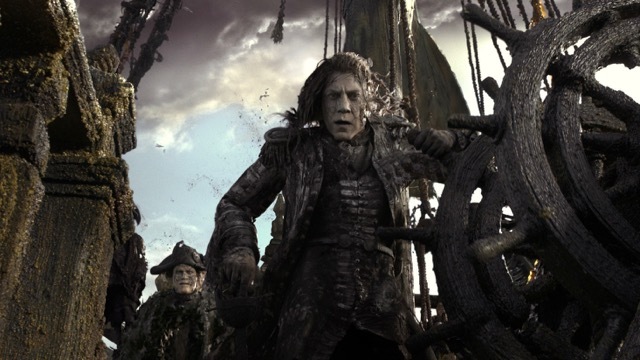 The rip-roaring adventure finds down-on-his-luck Captain Jack feeling the winds of ill-fortune blowing strongly his way when deadly ghost sailors, led by the terrifying Captain Salazer (Javier Bardem), escape from the Devil’s Triangle bent on killing every pirate at sea – notably Jack. Jack’s only hope of survival lies in the legendary Trident of Poseidon, but to find it he must forge an uneasy alliance with Carina Smyth (Kaya Scodelario), a brilliant and beautiful astronomer, and Henry (Brenton Thwaites), a headstrong young sailor in the Royal Navy. At the helm of the Dying Gull, his pitifull small and shabby ship, Captain Jack seeks not only to reverse his recent spate of ill fortune, but to save his very life from the most formidable and malicious foe he has never faced. 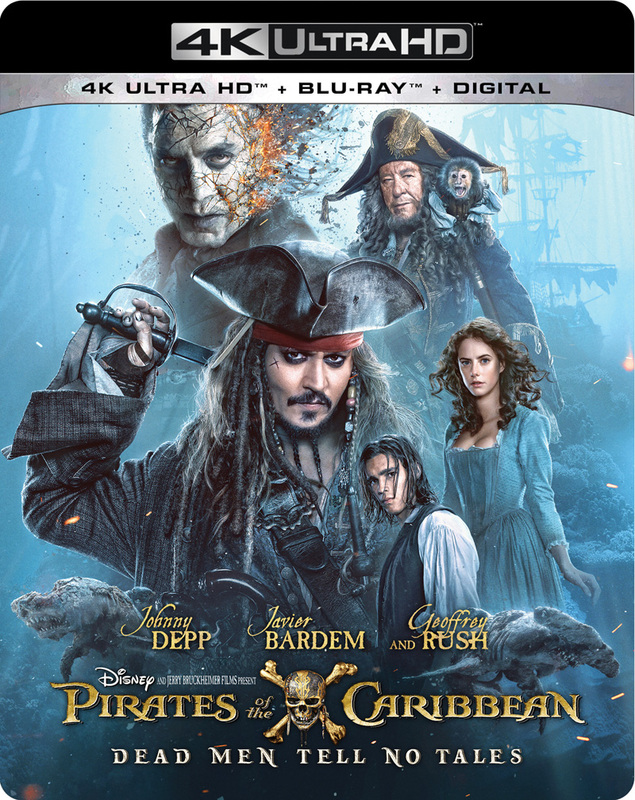 Pirates of the Caribbean: Dead Men Tell No Tales also stars Kevin R. McNally as Joshamee Gibbs, Golshifteh Farahani as the sea-witch Shansa, David Wenham as Scarfield, Stephen Graham as Scrum, and Geoffrey Rush as Captain Hector Barbossa. Directed by Norwegian filmmakers Espen Sandberg and Joachim Rønning (Kon-Tiki), Pirates of the Caribbean: Dead Men Tell No Tales will debut in theaters on May 26, 2017.